PorterHouse's wine list features some of the best red wines of California and Oregon, while stretching as far as France and Italy. 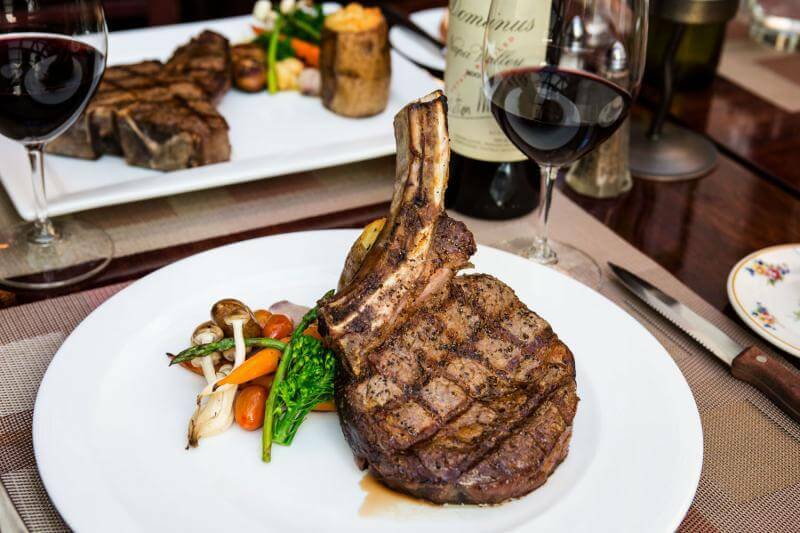 A large portion of our menu is dedicated to the Cabernet Sauvignon, primarily the ones of Napa Valley. However, our wine list also consists of exceptional Merlots, Zinfandels, and Pinot Noirs from many regions in California and the great Willamette Valley of Oregon. Our wine list also ranges from the Rhone Valley and Bordeaux regions of France, to some of the most sought after wines in Italy. *For guests who have a special wine bottle, PorterHouse has a corkage service fee of $30.00 per bottle, with a 2 bottle limit.